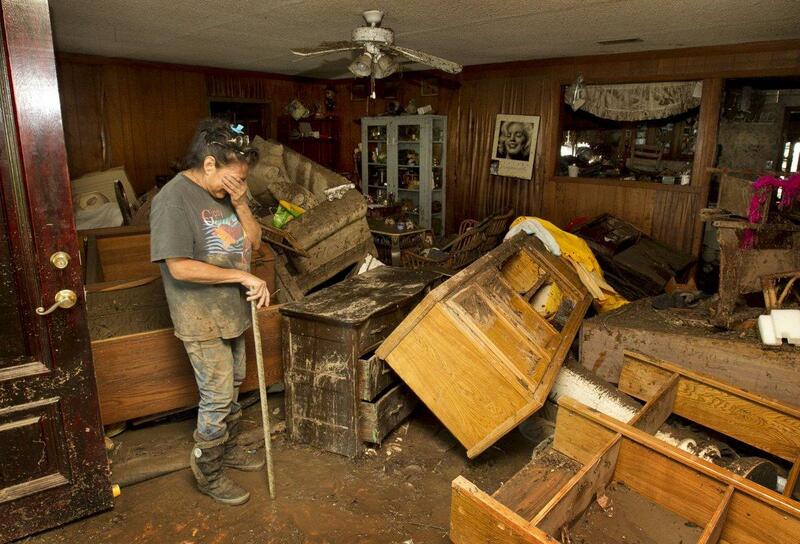 Anna Vallejo cries as she looks at the damage to her flooded house on Bluff Springs Road in Austin, Texas, on Thursday October 31, 2013. She lost all her belongings in the flood. You can sign up to volunteer online through Austin Disaster Relief Network or Hands on Central Texas, or by calling 512-331-2600. The Red Shed Tavern is hosting a benefit concert on Nov. 17. All proceeds from the door and a silent auction go toward the Austin Disaster Relief floods relief fund. Bands include Joy Davis, The Bonfire Choir, Von Roader, Silo Road, Thrill Joy, and Shad Blair. Auction donors include Guitar Center, Samuels Diamonds, Vince Young Steakhouse, Star of Morocco, Serrano's and more. For those affected by the floods, the Dove Springs Recreation Center at 5801 Ainez Drive continues to operate as a "one-stop shop" for flood victims. The center will be open daily from 8 a.m. to 8 p.m.
People are asked not to bring donations to the Disaster Assistance Center. Non-perishable food donations can be brought to the Oak Meadows Baptist Church at 6905 S. Interstate 35. The church is accepting H-E-B and Walmart gift cards, furniture, household items, water, non-perishable food items, toiletries, baby items, and toys. 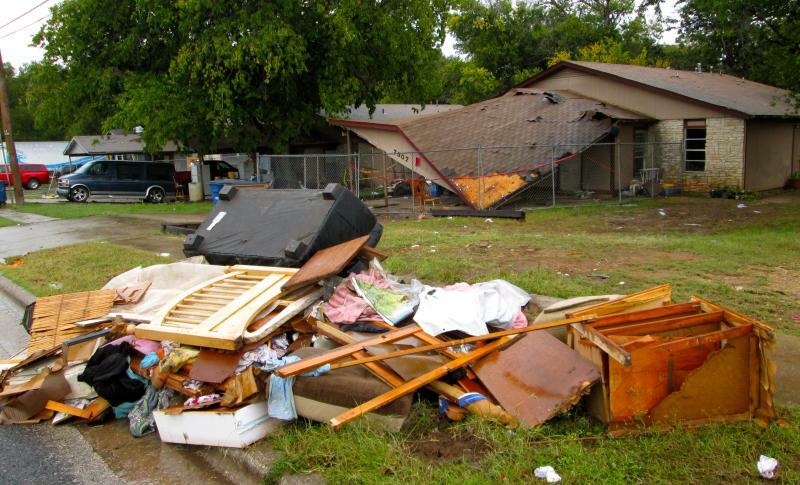 Shovels, sheet rock, face masks, gloves, box cutters, utility knives, hammers, safety goggles, heavy duty trash bags, trash cans and bleach are also needed for clean-up efforts. CentralTexasFires.org is collecting supplies to donate to flood victims at Central Texas Harley-Davidson in Round Rock at 2801 N. Interstate 35. It’s asking for H-E-B, Walmart and gas gift cards, plus construction materials, food, household items and more. The Austin Disaster Relief Network is also accepting food donations at a tent at the corner of William Cannon and Pleasant Valley for teams cleaning up the neighborhood. Volunteers are there from 8 a.m. to 6 p.m. Austinites can sign up to volunteer online, or by calling 512-331-2600. 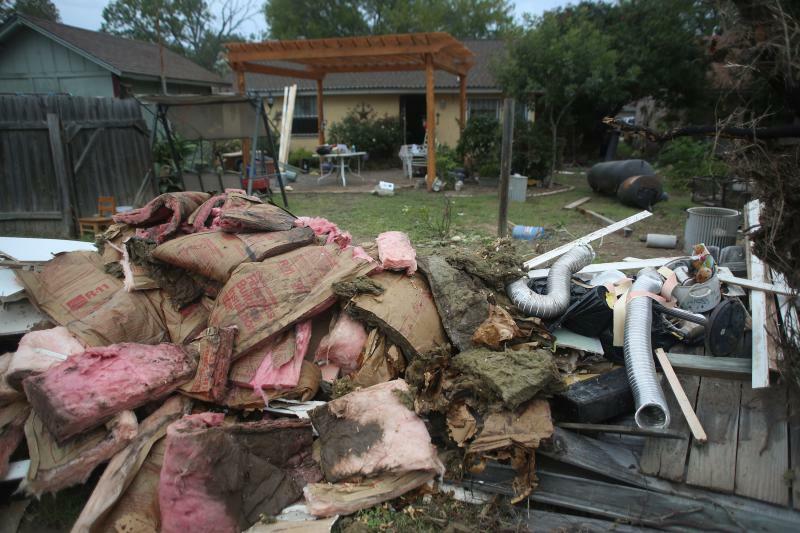 The Austin Disaster Relief Network has also established a Central Texas Flood Relief Fund. Donations can be made via PayPal and check. 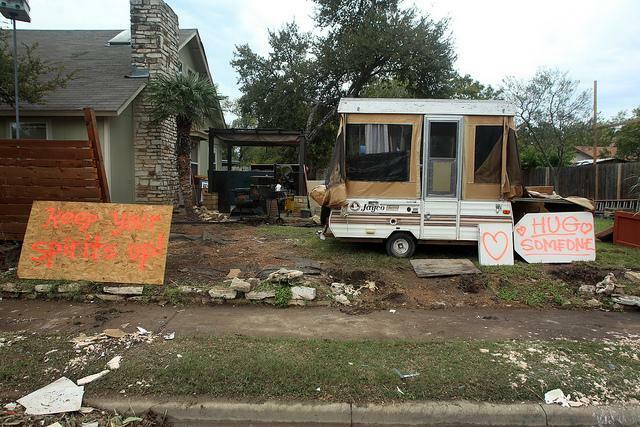 The United Way of Greater Austin is collecting donations for long-term recovery efforts. You can donate $10 by texting UWATX to 85944 or give online here. The Red Cross Central Texas Chapter is also accepting donations. Clothing and other items can be donated to your nearest Salvation Army. An updated list for drop off and items being accepted can be found here. Know more ways to help? Leave a comment below and let us know. Residents and teachers at Perez Elementary say little information was distributed to residents immediately after flooding in Austin's Onion Creek and Dove Springs neighborhoods last week, leaving some residents confused and unsure where to turn — especially those who don't speak English. When Pompilio Perez left his home in Dove Springs to go to work at 5 a.m. last Thursday morning. It was raining, but there was no sign of flooding. Thirty minutes later he couldn’t even drive down his own street where his wife, Ana, and his three children were at home. Ana Perez and her kids were rescued from their roof and, by Saturday, they had returned. At that point, she says, they hadn’t received any help.